From Citizenship to Digital Citizenship is the culminating product of my thesis project for the Masters in Educational Technology at Fresno Pacific University. As I started knowing more about using technology for educational purposes throughout all my classes, I realize how much there is we need to know to successfully use technology in the classroom. I believe that using technology in the classroom is not just about teaching students how to use electronic devices. It is unquestionable that electronic devices have a long standing presence as entertainment tools. One of the challenges for technology integration is to change the mindset of technology users to view electronic devices as learning tools. As we continue to incorporate technology in our daily lives and particularly within educational contexts, I am curious and passionate about the responsible use of electronic devices. There is a deep sense of worry in me as a professional educator about the ways our children are being allowed access to Information and Communication Technologies (ICT) without a clear understanding of the risks and benefits implied. My concern for the way that technology is changing our lives and the ramifications for the learning environment motivated me to research about digital citizenship curriculum integration in school settings. 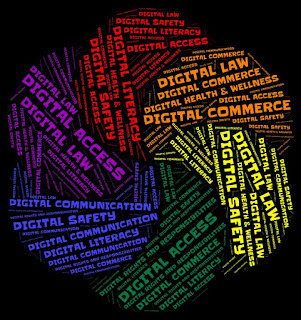 There is a plethora of open sources on the Internet to learn about digital citizenship. I hope this product is helpful for students and teachers as well as they engage in learning about safe, legal, and ethical practices for technology use.